Please describe what you would like Lisa Hendey to do: Please enter your message. Lisa M. Hendey is the founder of Catholic Mom and a bestselling author of fiction and non-fiction for adults and children. She serves Editor-at-Large with Ave Maria Press, home to the Catholic Mom book imprint. Lisa's adult non-fiction titles have earned multiple Catholic Press Association awards and her "Chime Travelers" fiction series is being read and studied in schools nationwide. A frequent television and radio guest, Lisa's writing has been featured in multiple print outlets including National Catholic Register, Our Sunday Visitor, and Catholic Digest. Hendey speaks internationally on faith, family, and technology topics. Lisa's speaking venues have included the Los Angeles Religious Education Congress, the Convocation of Catholic Leaders, the Columbus Catholic Women's Conference and the University of Dallas Ministry Conference. An Elizabeth Egan Journalism fellow, she has traveled worldwide with non-profit organizations to support their humanitarian missions. Lisa and Greg Hendey worship in the Archdiocese of Los Angeles. Lisa M. Hendey is the founder of Catholic Mom and the bestselling author of The Grace of Yes, The Catholic Mom's Prayer Companion, The Handbook for Catholic Moms and A Book of Saints for Catholic Moms. Lisa’s project, the "The Chime Travelers" fiction for elementary school readers, is based upon the lives of the saints. To share her love of the saints and storytelling with young students, Lisa conducts in person and “virtual” author visits to classrooms around the United States and Canada, encouraging every student to become a “saint in the making” and to share their own stories of faith in creative ways. In July 2017, Catholic Mom was acquired by Holy Cross Family Ministries and became an official ministry of this a nonprofit 501(c)(3) organization. Lisa Hendey remains active at Catholic Mom as a writer and a consultant to the Holy Cross Family Ministries President, Father Wilfred Raymond, C.S.C. and the Holy Cross Family Ministries Board of Directors. As a board member and frequent host on KNXT Catholic Television, Lisa produced and hosted multiple programs, including Catholic Mom TV and Making the Grade, a program aimed at promoting quality Catholic education. Lisa has additionally appeared on EWTN, CNN, CatholicTV and as a part of the Momnipotent DVD series. Lisa is a frequent radio guest and the technology contributor for EWTN’s SonRise Morning Show and the family life correspondent for Relevant Radio. She has blogged at Patheos, New Evangelizers, Integrated Catholic Life, Catholic Tourist, and Productivity At Home. Her articles have appeared in Catholic Digest, Today’s Catholic Teacher, National Catholic Register, and Our Sunday Visitor. Hendey travels internationally giving workshops on faith, family, and Catholic new media topics. She was selected as an Elizabeth Egan Journalism Fellow and traveled with Catholic Relief Services in Rwanda to study and write on the aftereffects of the Rwandan genocide on the eve of its twentieth anniversary. Lisa was selected to attend the first-ever Vatican Bloggers Meeting, the “Bishops and Bloggers” meeting and the Catholic Press Association tour of Israel as a guest of the Israeli Ministry of Tourism. Lisa has traveled and shared her writing from Tanzania, Colombia, the Philippines, India and Kenya in service of non-profit organizations. In 2018, she will undertake a speaking tour in Australia, addressing multiple venues on the New Evangelization, communications, family life and personal spirituality. Lisa’s speaking schedule has included the Los Angeles Religious Education Congress, Catholic Marketing Network, the University of Dallas Ministry Conference, the Columbus Catholic Women's Conference, various Legatus and Catholic Business and Professional organizations, the Midwest Family Conference, and the National Council of Catholic Women. Lisa travels internationally speaking on faith, family and technology topics and giving retreats for dioceses, parishes and organizations. 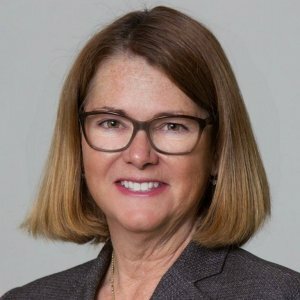 A graduate of the University of Notre Dame (Bachelor's) and Vanderbilt University (Master's), Lisa Hendey resides in the Archdiocese of Los Angeles with her husband Greg Hendey, Chair of Emergency Medicine at UCLA. Greg and Lisa are parents to two adult sons and are active parishioners at St. Paul the Apostle Catholic Church in Los Angeles. Please note that Lisa creates unique talks for each engagement. The following are some of her recent topics, but Lisa is happy to work with your organization to tailor a topic specifically for your needs.